← Thank You Steve Jobs! UV coating is a clear liquid that is spread out over the paper and dried instantly by exposure to UV radiation with virtually no emissions. Our machine is a Flood UV coater, covering the whole page, as opposed to a Spot UV. The finish can range from extremely reflective and glossy down to a matte finish. It also deepens the color of the printed area. UV coating requires a coated stock, preferably cover weight. A UV coating protects better than varnish or aqueous coating and protect against friction and fading. 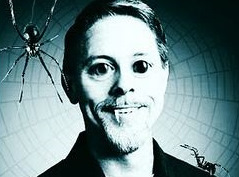 And in the spirit of Halloween, check out what Google executives are doing to “enhance” their Google+ profiles. Happy Halloween!